I’m so excited about his progress with the dogwalk. I’m also very happy about his weaving. I need to control myself and train some handling tonight instead. And I started shaping a 2o2o for the seesaw today. Just shaping him to step down from a sofa cushion and face forward to get a reward. 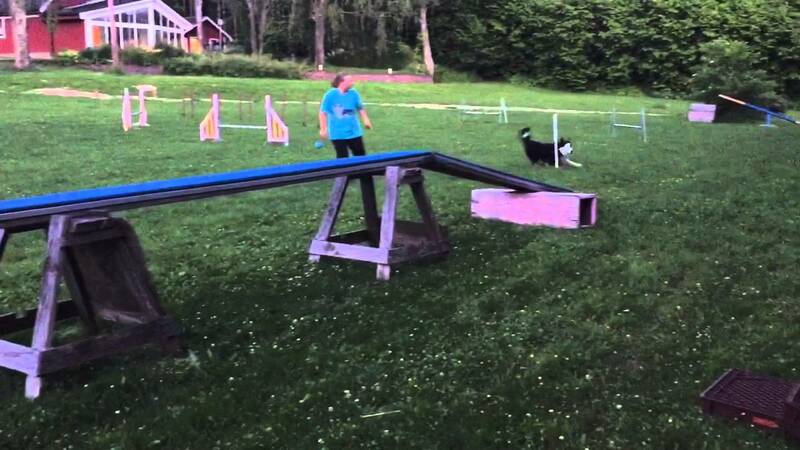 I will then transition it to a box outdoors and add some speed and handler motion. From there, I’ll transfer it to the end of the seesaw. Wilco turned 17 months old today. We’re having a lot of fun with learning running contacts, weaves and handling. His progression on the running contacts last week was amazing. 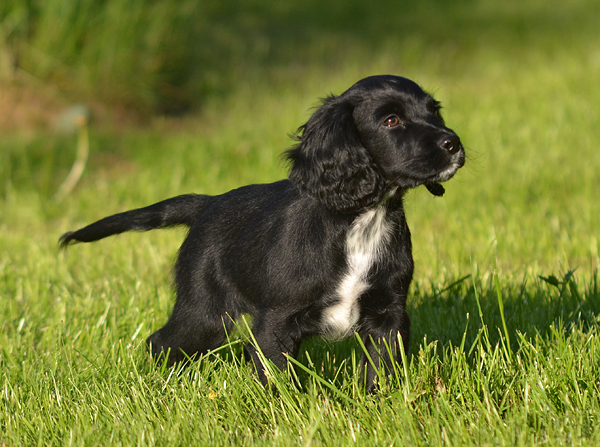 We went from 30 cm to 120 cm in just two days of training. Then we took a break for four days while I was away with the older dogs. Today, I decided to try some soft turns off the dogwalk. Mostly because I was too lazy to set up the tunnel for straight exits. And because I was excited to know what he would do with the turning. I used a pole at the end of the dogwalk so that he wouldn’t come off the side. I used “jajaja” as a cue for soft turns/attention (follow me), and I rewarded from my hand if he met criteria. He wasn’t always perfect, but had some really nice hits! We’re also working on weaves. I started teaching him to find the entry on a set of two poles. Then I borrowed this channel weave set from a friend, because I felt like I wanted to go to 12 poles much earlier than I’ve done with the older dogs (taught by the 2×2 method). This is pretty much like the 2×2 method, just with six sets of two from much earlier on in training. Tonight was the first session where I rewarded from my hand (instead of throwing ahead) and where I tried to teach him to stay in the poles even when I move in front. He learns so quickly! 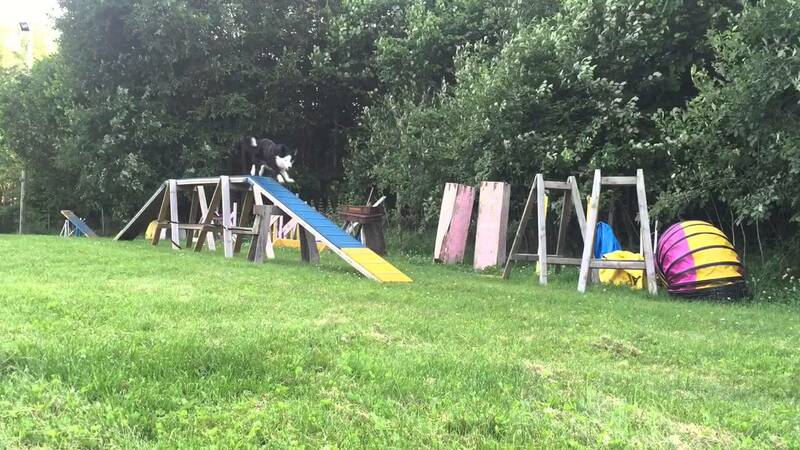 After nine months of rest, puppies and rehab, Squid ran her first full agility course on Saturday. We have been doing a little agility during the past months, but mostly just worked on rehab and strength. She’s far from her top condition, but I’m so glad to have her back! This was her first run of the year. 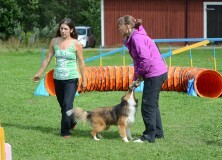 She was 4th out of 91 (29 clean runs) large dogs. I’m very happy with that considering that we’re both out of shape. Epic also competed on Saturday. He feels much stronger than Squid and had a lot of speed, but dropped some bars in every run. 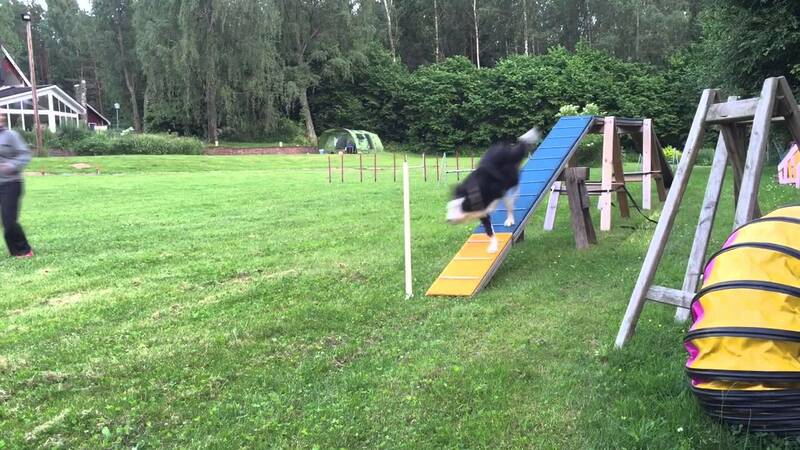 I think he needs some time to work his jumping out after so much time off from agility. Already on Saturday, I started to feel pain in my achilles tendon, and on Sunday I couldn’t really run. I had two runs with Squid, but wasn’t able to handle well because I was so much slower than usual. It feels better now that I have rested, and I was able to run some sequences with Epic yesterday without pain. I really hope that this won’t persist now that my dogs are finally able to start running again! Squid has to rest from training for a while. She was lame last week and although she looks fine now, after more than a week of rest, I will not let her do any training until I’ve got her checked up thoroughly. My local vet took a long look at her earlier this week and we took x-rays of back and toes, but we didn’t find much. Next step is a visit to a physiotherapeut on Monday. Keep your fingers crossed for Squid! I wanted to make a video of some foundation exercises for my online classes, and had so much fun with my dogs. 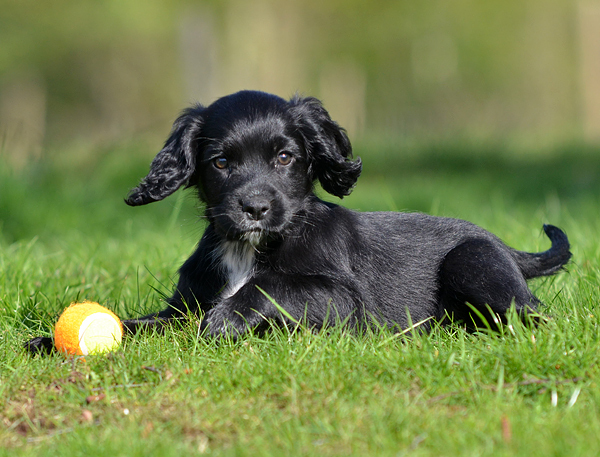 I was surprised how much they know and remember, considering that I’m not very good at doing a lot of ground work with the dogs at the moment. 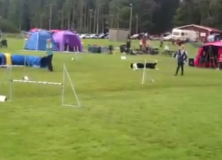 Obviously, they don’t think doing real agility or doing ground work is a big difference. I had lots of fun and was inspired to do some more of it in the future. I’m happy that she wanted to do it, and I’m very excited to work in this class with my dogs. 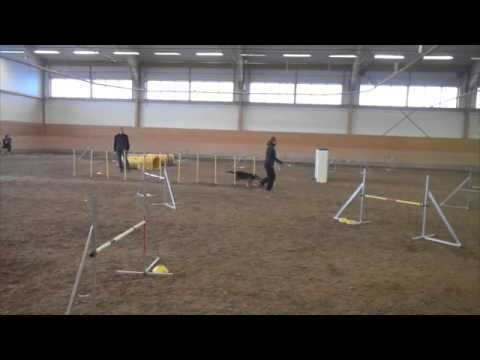 We will focus on handling with a dog training/jumping perspective. Join the fun here! Great news! 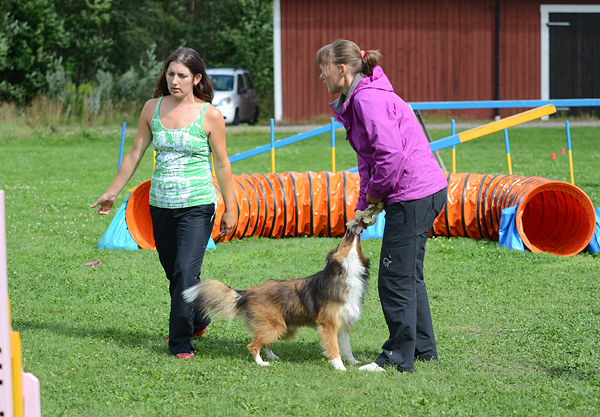 Both Shejpa and Squid will represent Sweden at European Open Championship in July. It’s very exciting to have EO in Sweden and to get the chance to compete! 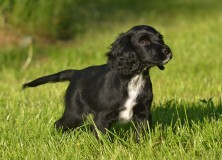 Other great news: Thomas got a wonderful cocker spaniel puppy named Kat three weeks ago. She is just adorable!